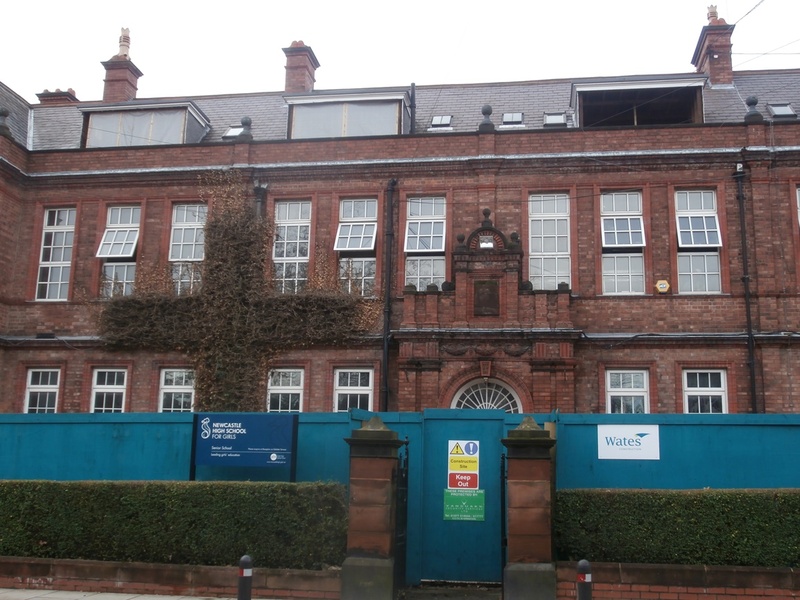 The red-brick frontage of the Victorian main building seemed richer in colour when I passed by today, as if refreshed rather than dampened by the recent prolonged bout of wet weather. No doubt the ‘Old Girl’ has seen a lot worse winters than this in her time, however depressing near constant rain might feel. And, despite having been cut off from its roots, the ivy cross looked almost green again too. I noted one of the four dormer windows in the eaves (of Brenda Cavagnah’s Assistant Bursar’s Office) was open to the elements today indicating work was underway on the top corridor once again. A white worker’s helmet visible through the window of Room 4 also suggested there was a lot of activity inside the main building today. Work is going on in the eaves & in Room 4. 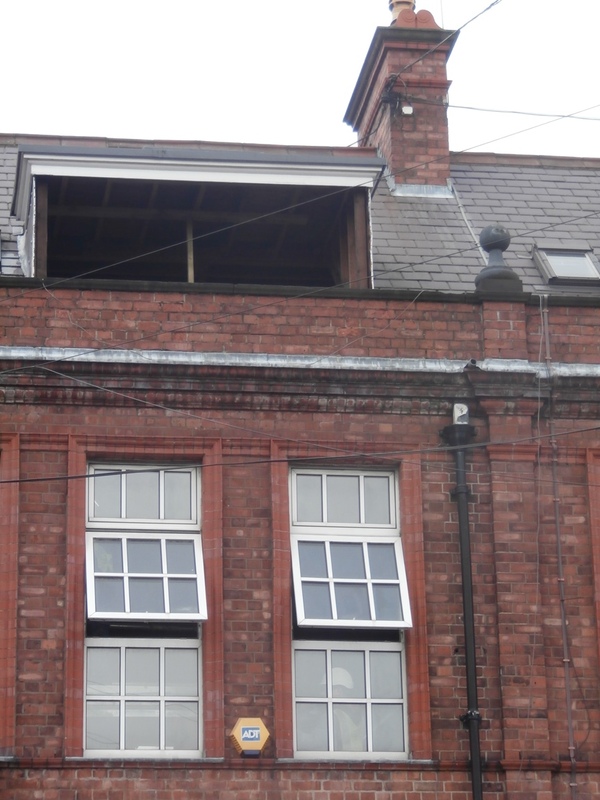 Speculating what might be happening in the main building was always intriguing, but the main objective today was to discover how far the new build roof had progressed since Monday evening and I wasn’t disappointed. 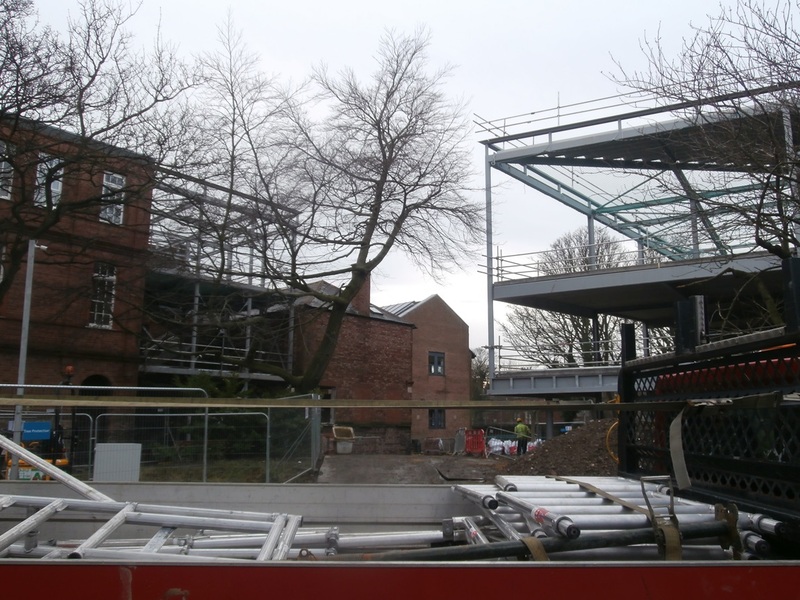 On arriving at the old Junior School gates, it was clear that the roof was already nearly three quarters complete. The new build roof has progressed fast in a day and an half. Traffic was heavy again on site today and an open-topped lorry parked just in front of the gate helpfully provided a striking red frame for a shot of the two new steel structures side-by-side. I have my Dad to thank for the tip of trying to get red into a frame. The two new steel structures are not actually that far apart. 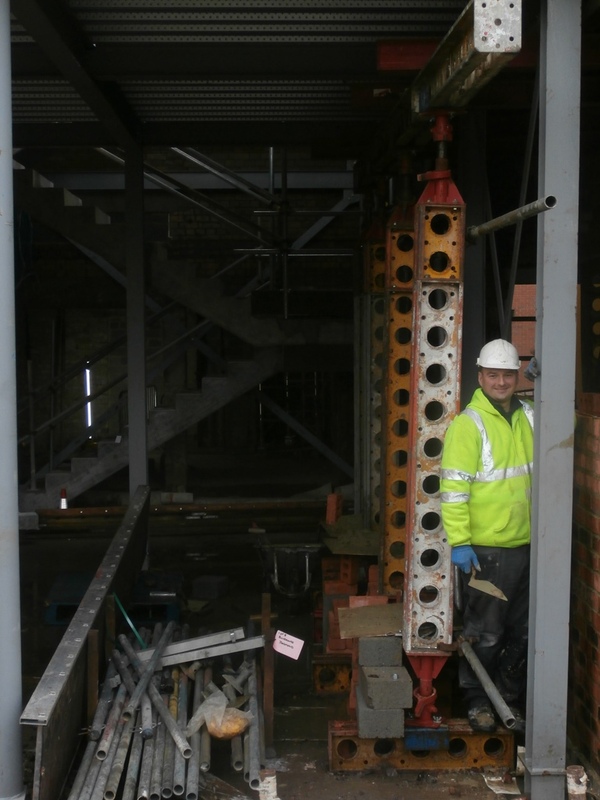 Unlike on Monday evening, I could see the progress on the main building’s new extension for myself now and was curious to discover how the pile of steel photographed on Monday had been utilised. However, on approaching, my eyes were drawn to the ground floor first of all where a fluorescent-jacketed man was hard at work. The ground floor of the main building’s new extension. 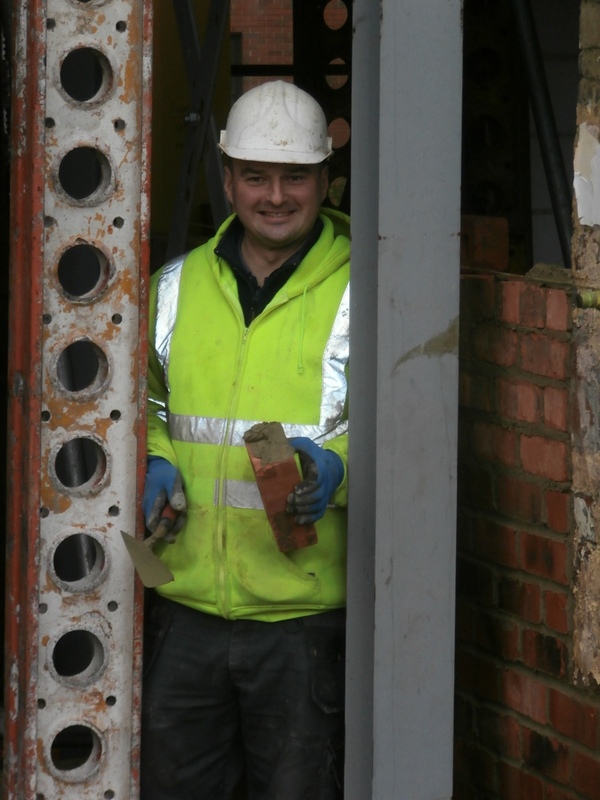 The man was named Mark and was just in the process of putting ‘another brick in the wall’ which was now being re-erected between the new extension and what used to be the old kitchen storage areas. Another brick about to go into the new wall. 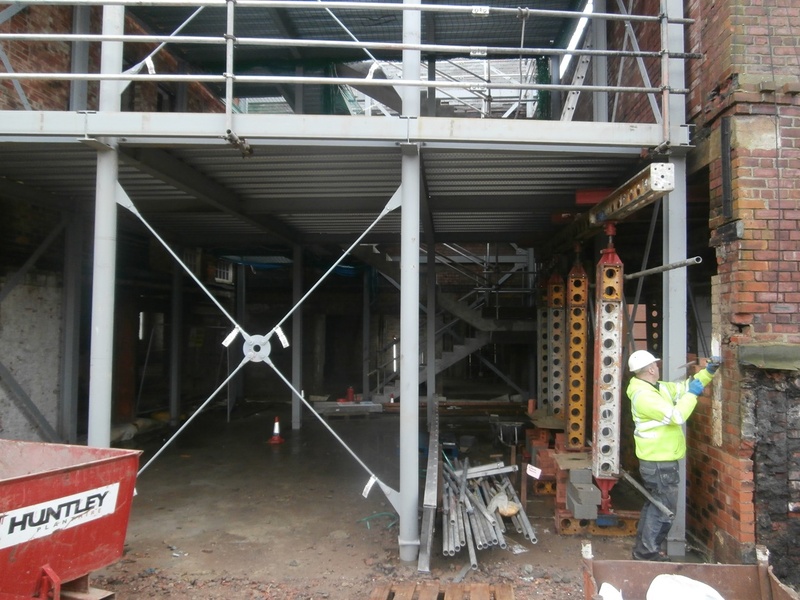 Beyond Mark and the steel supports, the new flight of stairs to the rear of the extension looked even greyer than it had done at the turn of the year now that steel flooring had just been laid on its first floor. 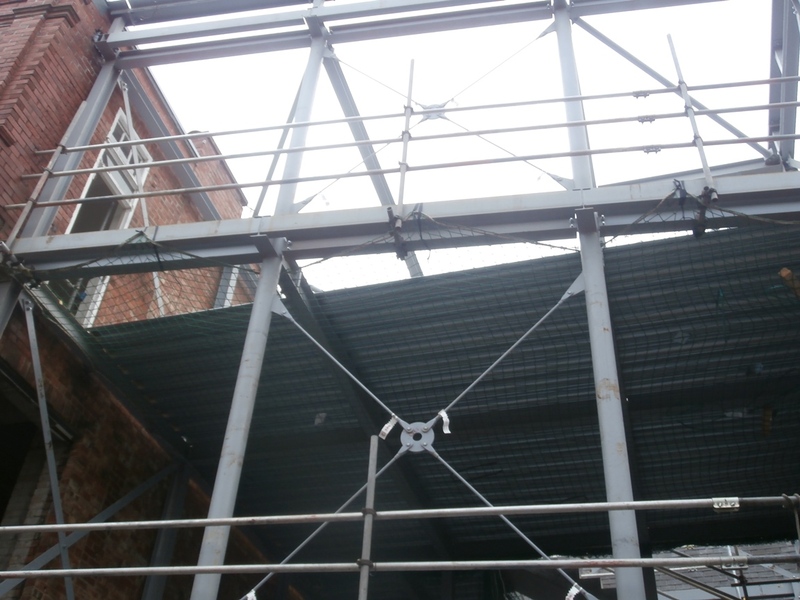 The extension’s first floor is now in place. 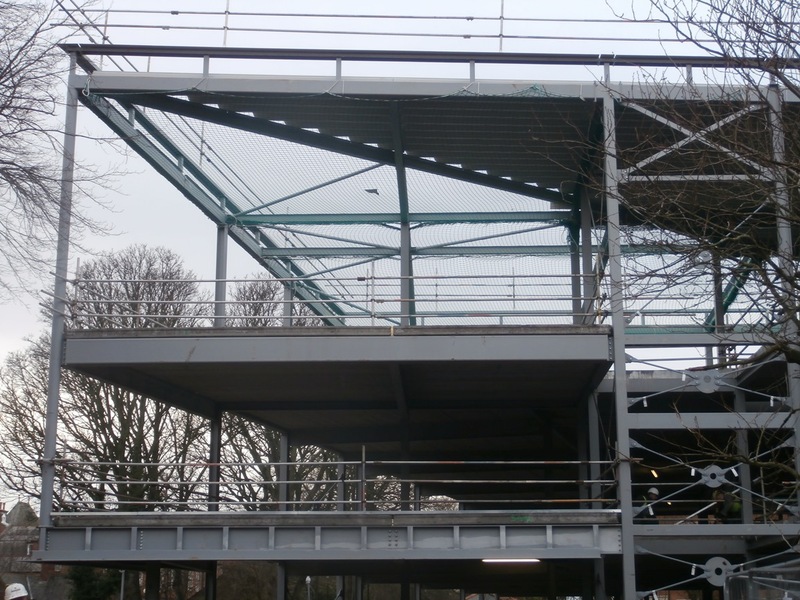 Despite the steel flooring of the upper level being not quite finished, the steel structure was now beginning to look more like a building. The steel for the second floor is not quite all in place yet. It is funny how watching changes to a familiar building makes you notice structural details you weren’t consciously aware of before. Although I must have walked past it thousands of times, if anyone had asked me to describe the layout under the Dining Hall windows I wouldn’t have been able to. 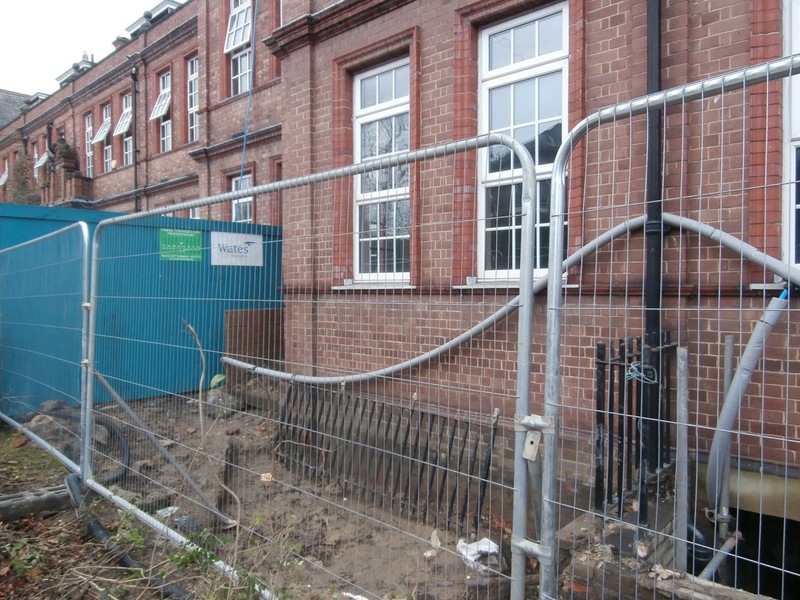 And as I walked back past the main building on my way back to work today, I saw a set of black railings standing up against the wall I hadn’t noticed as I’d passed by before. New work is now underway in front of the old Dining Hall. 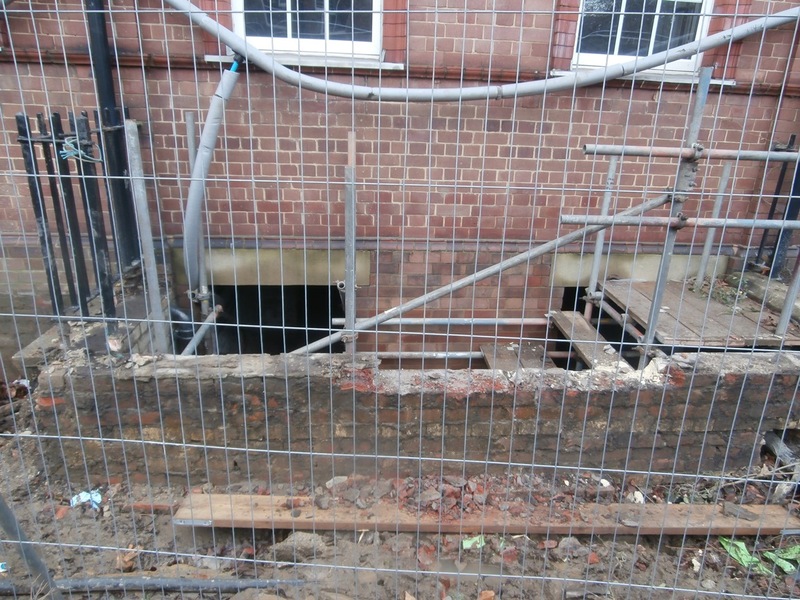 Without the railings in place, I now became aware of a deep recess beneath the windows where yet another new site of work was clearly underway. I realized from its position it must lead down to the Boiler Room. Although vaguely aware of its existence, this was one of the few areas of the old Church High building I had never visited. Work in the area of the Boiler Room under the Dining Hall. I mused that this unexpected little discovery proved that even a building you know very well can present you with the odd occasional surprise. However, this would be nothing compared to the hugely serendipitous surprise still awaiting me on Tankerville that day.